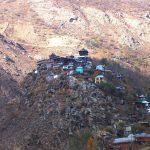 Nestled amidst lofty mountains, pristine lakes, green pastures and several fruit-laden orchards, Kinnaur is an ideal destination for anyone who wants to be away from the hustle and bustle of city life. 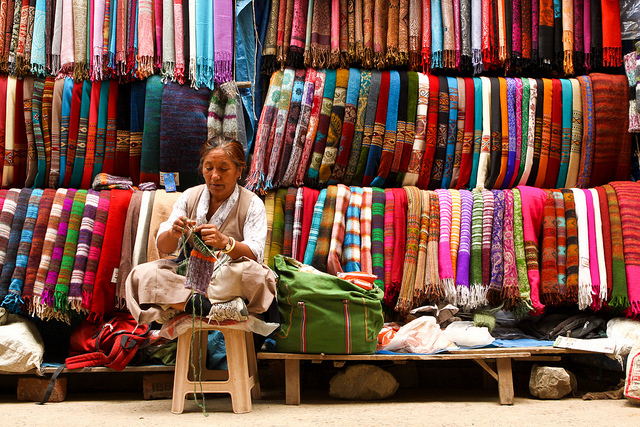 Kinnaur shares its border with Tibet and is situated in the north-eastern part of Himachal Pradesh. The beautiful place is renowned for its natural beauty and continues to attract tourists all over the world. The Sangla valley is the largest valley in the Kinnaur district that has numerous orchards of apricots, peaches, chilgozas and apples. Kinnaur is well-known for its apples, which are delicious and juicy. The picturesque valley offers spectacular views of snow-clad mountains during winter. 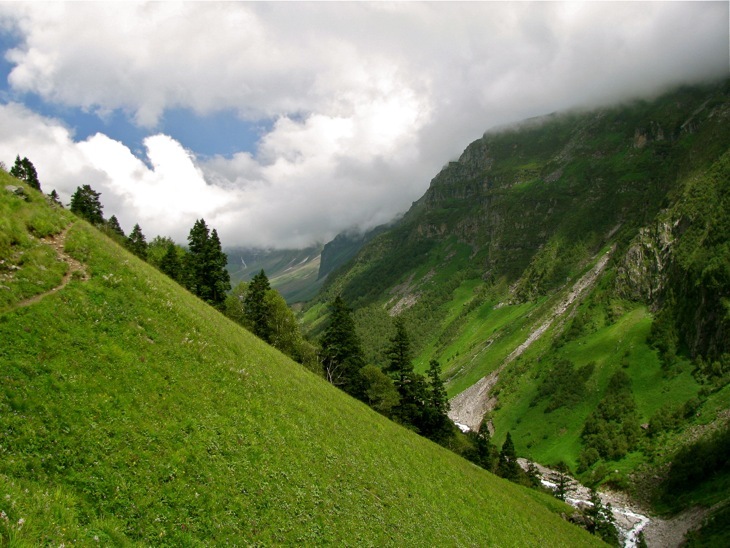 One of the most beautiful valleys of Kinnaur, the Sangla valley is also popularly known as the Baspa valley. The Sangla valley is also famous for its forts, which are associated with various historical and mythological legends. The history of Himachal Pradesh can be known by visiting famous forts. Himachal Pradesh sightseeing tours help tourists utilize their money in the best possible manner. Heritage tours of Himachal Pradesh are the best option for visiting historical monuments. 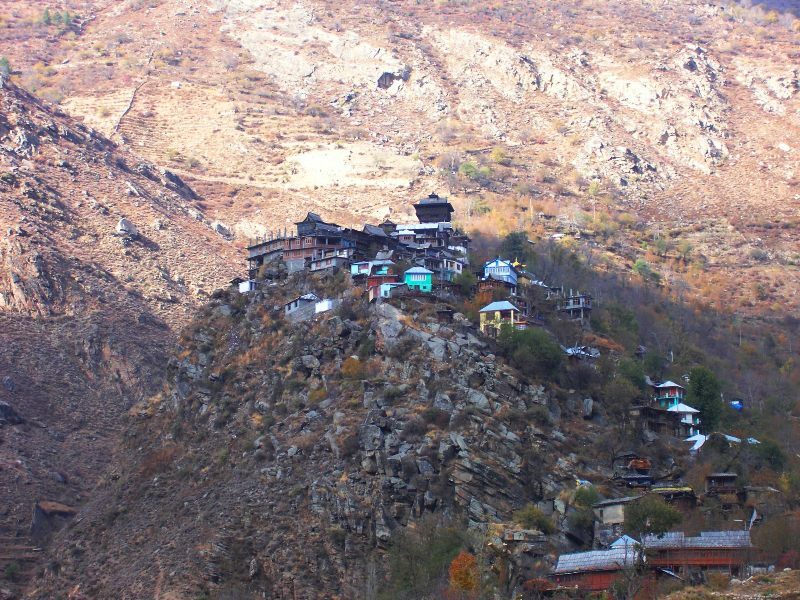 You can begin your heritage tour by visiting the well-known Kamru fort in Sangla. The Kamru fort is situated at a distance of approximately 2 kms from the Sangla valley. Set in a picturesque location, the Kamru fort is one of the oldest forts in Himachal Pradesh. It was built by Dev Puran. The Kamru fort is surrounded by snow clad mountains, thick forests of deodar trees, lush green fields and fruit-laden orchards. History – During the ancient times, the rulers of erstwhile Bushahr state used the Kamru fort to perform enthronement ceremony. The Kamru fort consists of five storeyes and the tower-type fort rests on 55 sq feet stone platform. A massive square structure built of stone, the fort also has wooden rafters at some places. Two wooden verandahs beautifully decorated with wooden carvings lie on top of the tower. As you enter through the main gate of the Kamru fort, you will be greeted by an image of Lord Buddha. The striking image of Lord Buddha and the image of Kamkhya Devi kept on the third floor of the fort are major attractions for visitors. You can enter the fort through a series of gates. The wooden balcony at the top of the fort should not be missed out on your visit to the Kamru fort. The fort also has a temple in which a 15th century old shrine of Lord Badrinath is installed. A fair is held once in three years at the Badrinath temple. The localities honor their deity during the fair. During the fair, a procession is organized in which the idol of the deity is worshipped with utmost reverence. The idol is then taken to Gangotri, the origin of River Ganges. A good collection of artifacts, stone sculptures and many other antiquities can be found at the Kamru fort.